The rhubarb has been ready for a while. Usually I bake my first pie of the season before the end of April. This is my favourite pie. It is rhubarb only. 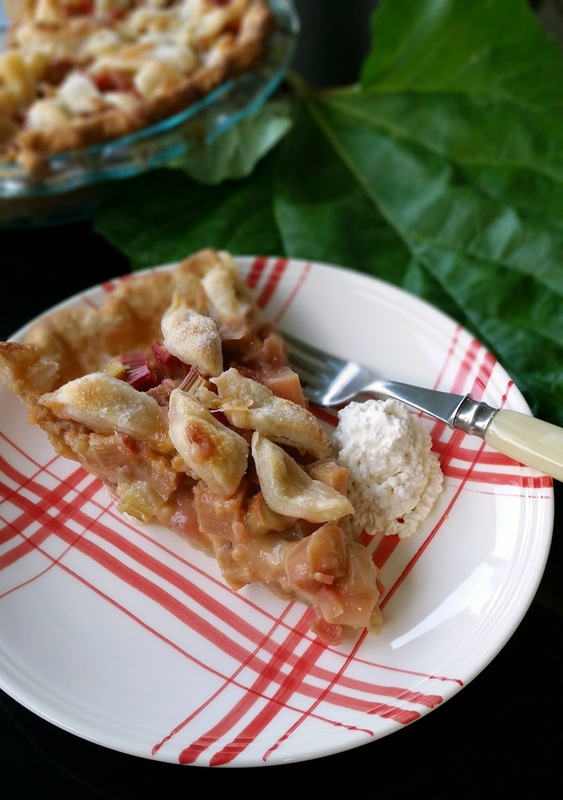 Not Strawberry Rhubarb. The recipe is one I have been making for many years. It is Madame Benoit's recipe. lard. I use a box grater to grate the butter. layers. Cut in half and pat each half into a flat disk. Refrigerate for an hour before using. Mine's a peanut compared to yours! It is my favorite pie too. 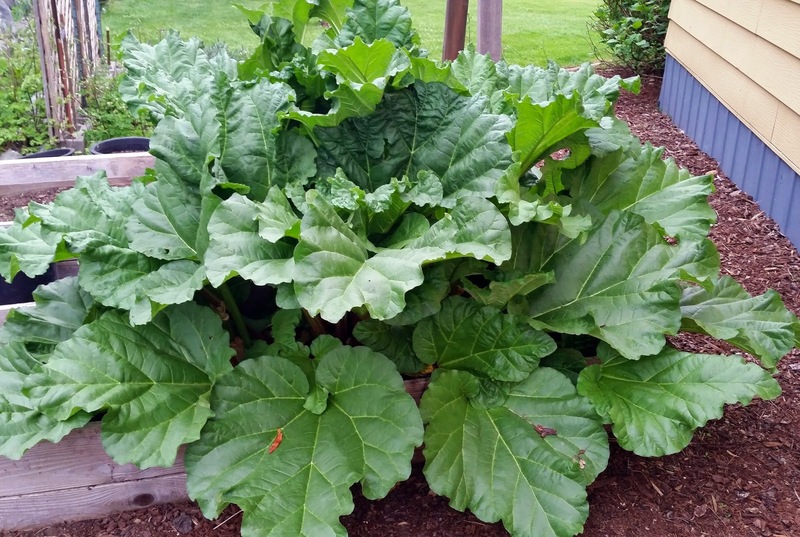 Unfortunately I have great difficulty in growing rhubarb in my zone 6a garden. The greens are easier but still not easy. 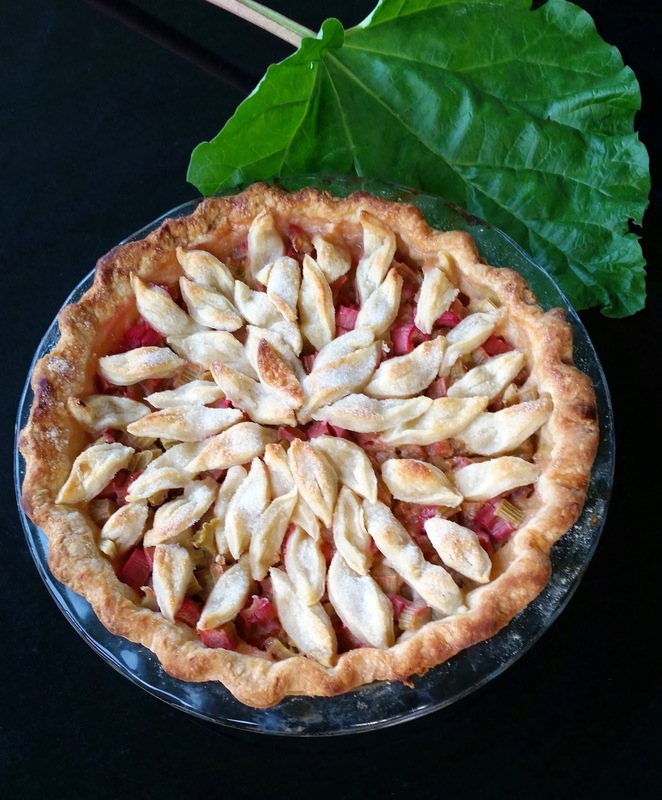 I have never made a rhubarb pie using eggs. Mine is pretty much the same as yours minus the eggs. I will give your recipe a try very soon.